One of the reasons why The Jekyll Island Chronicles is such a unique graphic novel series is how well it incorporates U.S. and World History into its plot. While it is fiction, there is so much historical fact in the story arc taking place between WWI and WWII. Not only is it jam-packed with action, adventure and superheroes but also provides an educational experience for readers that focuses on an era that seems to get less and less appreciation and recognition. 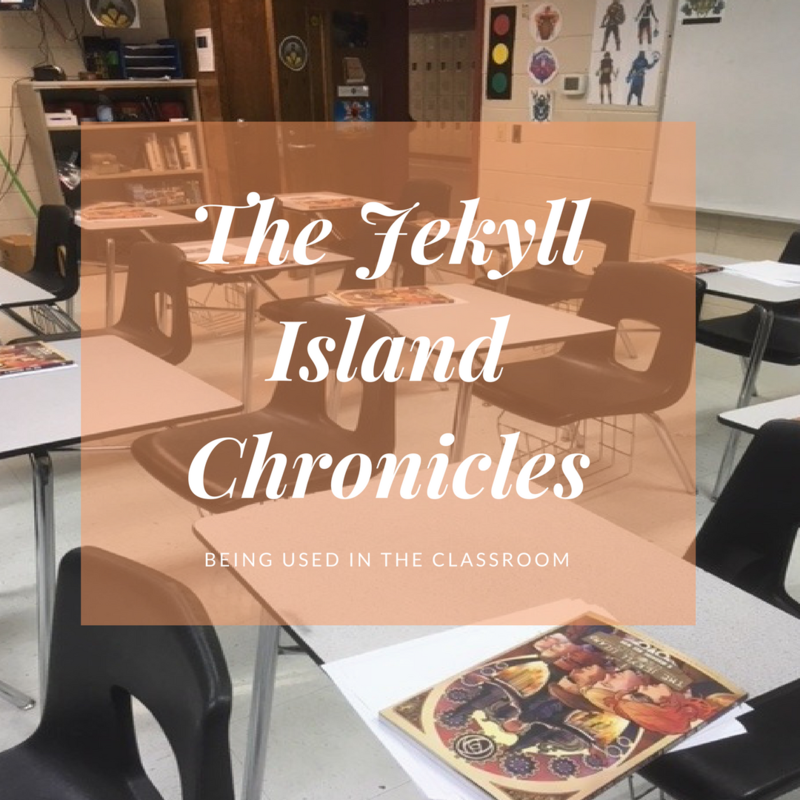 The authors of The Jekyll Island Chronicles always envisioned the book to be a prime candidate for creative teachers to use in the classroom but were never really sure where to begin. It wasn't until they met a creative teacher themselves that helped them turn their vision into a reality. While exhibiting at Jekyll ComicCon last year, a 10th grade World History teacher named Robert Patton approached the Jekyll Island authors at their booth. The authors explained to Patton their hopes to use the book in schools and in return Patton shared his professional advice on what was necessary for them to implement it into the school system. After talking to Patton, the Jekyll Island team realized they needed to bring in a professional to help them design products acceptable for teachers to use in the classroom. With this intention, they hired Glen Downey at Comics in Education. Downey is an award-winning children's author, educator, and academic from Oakville, Ontario who's also heavily involved in the comic book world. He is currently a reviewer for PW Comics World and the creator of Comics in Education. Comics in Education focuses on implementing the use of visual narrative in the K-12 classroom and beyond. 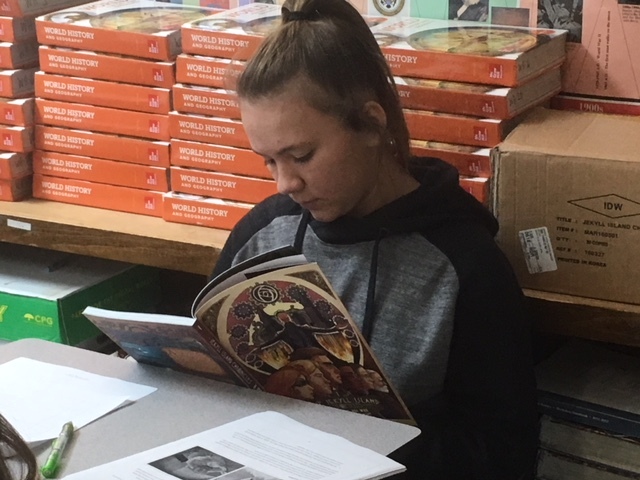 Downey, along with other educators, realized that using visual narrative in the classroom could be very helpful to engage reluctant and struggling readers. 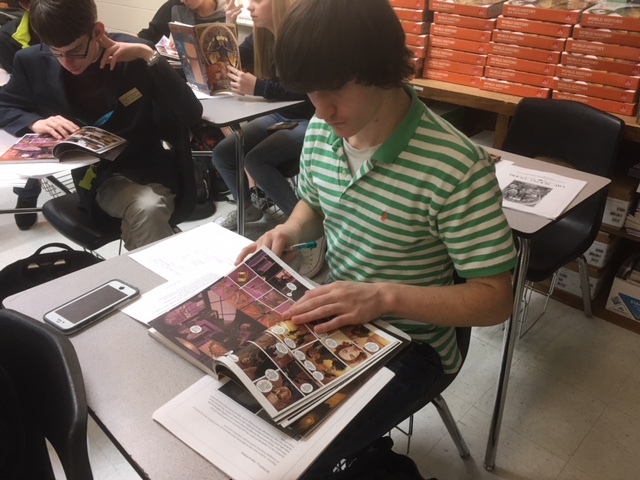 For one thing, comics help break up language into more manageable units while allowing students to visualize what the vocabulary they are reading looks like. In addition, comic books can still be complex and captivating to keep students interested. Having a mutual interest in bringing graphic novels into education, The Jekyll Island authors and Downey made a good team. Downey created a 40-page digital resource for teachers - that is completely FREE to download - that helps them think and plan for different ways to approach the book in a classroom setting. Additionally, Downey created a set of blackline masters that teachers can download and print as worksheets for their students. All of these are FREE resources teachers can use, either as part of the state's required curriculum or for a special project. 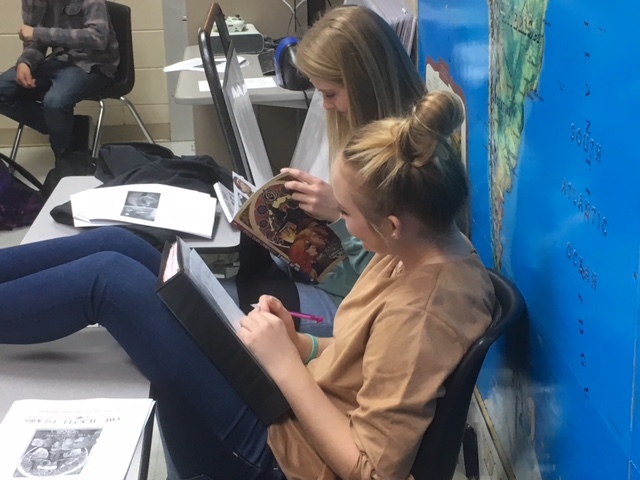 The book and curriculum the team created are a huge hit at Wayne County High School in 10th grade Honors World History and 11th grade AP U.S. History. The Jekyll Island team is excited about all the great feedback they've received on how well the curriculum has been working in the classroom. 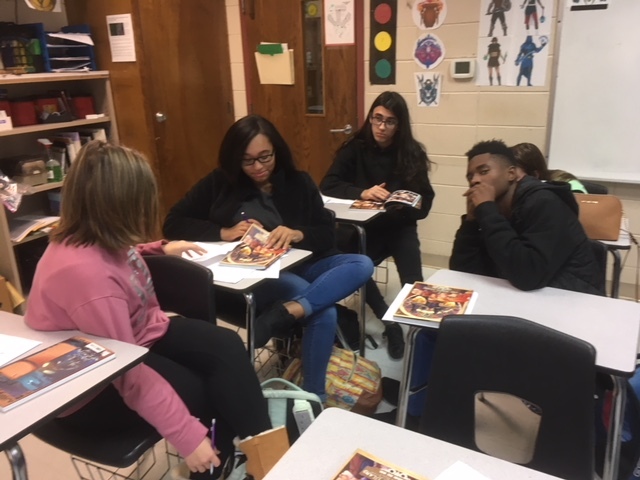 Hopefully, this is just the beginning, and more teachers will share the excitement of incorporating comic books in education. See below for some pictures of the book is being used in the classroom. Every month we choose one subscriber to give away a FREE digital copy of Jekyll Island Chronicles!